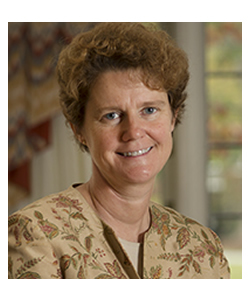 Jacqueline E. Lapsley is dean and vice president of academic affairs at Princeton Theological Seminary, where she is also professor of Old Testament and director of the Center for Theology, Women, and Gender. She is interested in literary theory, creation ethics, theological anthropology, and gender theory as tools for reading the Old Testament theologically. She edited the “Gender and Method” issue of Hebrew Bible and Ancient Israel (2016), and she is co-editor of After Exegesis: Feminist Biblical Theology (2015, with Patricia K. Tull) and A Women’s Bible Commentary, 3rd edition (2012, with C. Newsom and S. Ringe). Lapsley is also an ordained Presbyterian elder. She earned her M.A. from the University of North Carolina at Chapel Hill, her M.Div. from Princeton Seminary, and her Ph.D. from Emory University.